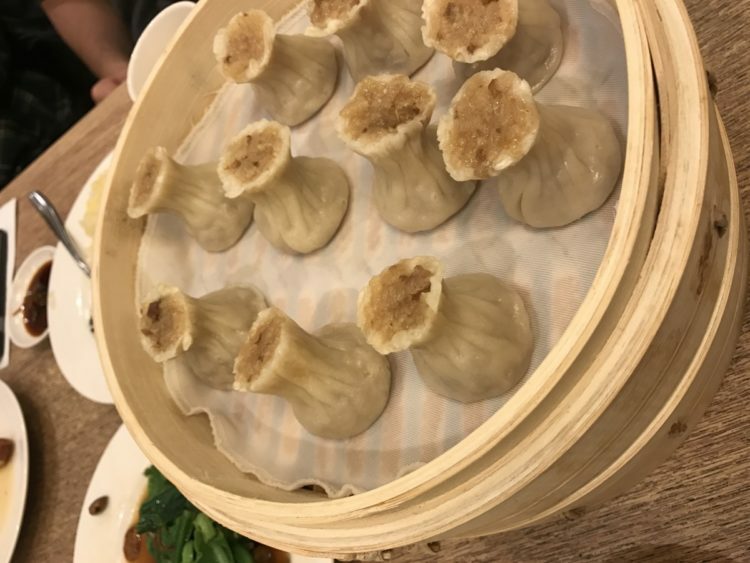 Having grown up in Los Angeles with the hype of what many call the best xiao long bao (or soup dumplings), I knew I had to give the original Din Tai Fung (鼎泰豐 / din tai feng) a try. Located in Da’an District near Yongkang Park (永康公園 / yong kang gong yuan), the building itself is rather unassuming. It pales in comparison to many of the buildings nearby along Xinyi Road—an area typified by towering residences with large restaurants and shops on the ground floors. I arrived during dinner time. The restaurant was already busy with at least a hundred people waiting right outside. You go to a host who gives you a number. Numbers are called and displayed on a television screen on the front window. Our number was called after around 45 minutes, which wasn’t bad at all. I fully expected the hour plus waits one might have stateside. We were brought to the back of the first floor by our host and walked up two levels to be seated on the third floor. What previously looked like a small restaurant is actually pretty big with floors of dining. I can only imagine the coordination that must happen between the various floors and the kitchen to make things run smoothly. At the time I went there were a lot of Japanese tourists around as well, which explains why the signage and menu was written in Japanese. Plus points for me! We ordered a few appetizers (小菜 / xiao cai) and a few baskets of dumplings. Maybe it’s the fact that we were at the original Din Tai Fung, that made the food taste better. Perhaps it could have been the company too. 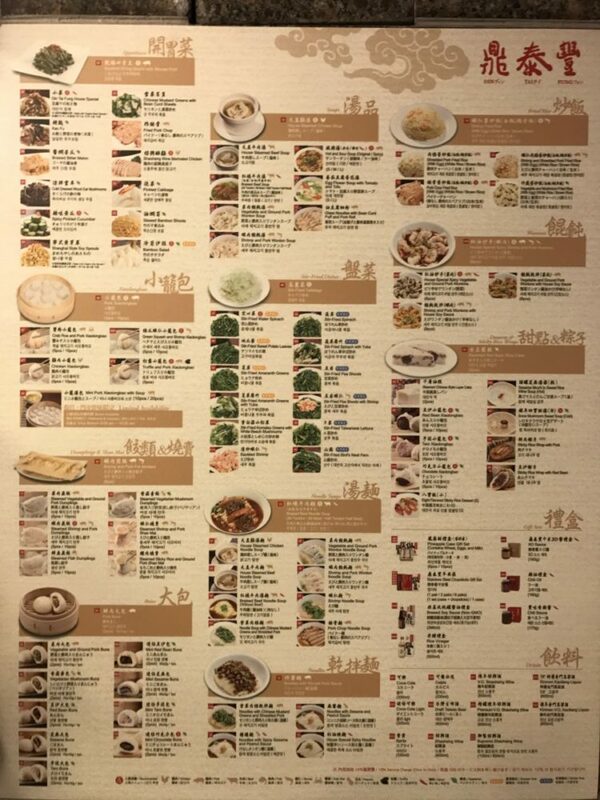 No matter, there’s something very cool about going to the original Din Tai Fung, especially since it manages to fit what is otherwise a huge restaurant in the US, in a small, compact operation complete with Taiwanese hospitality. 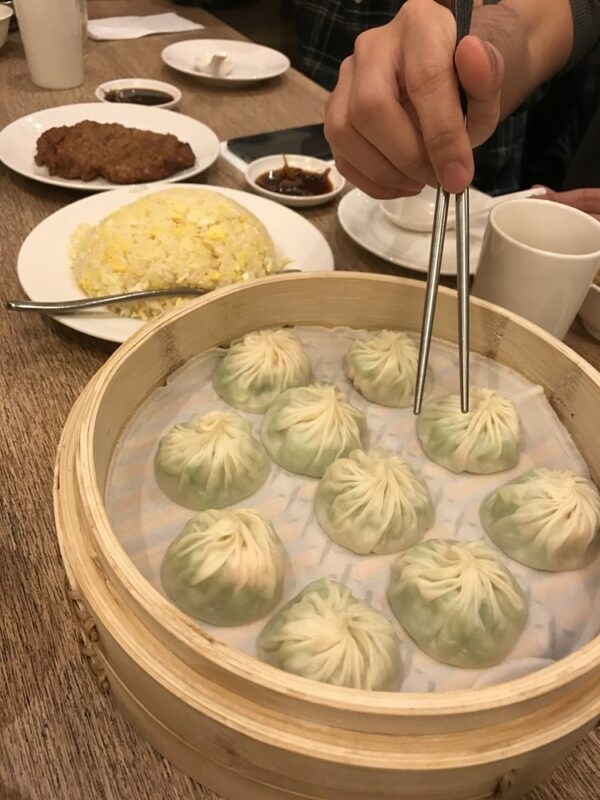 If you’re a fan of Din Tai Fung in the US or soup dumplings, in general, don’t forget to stop by! 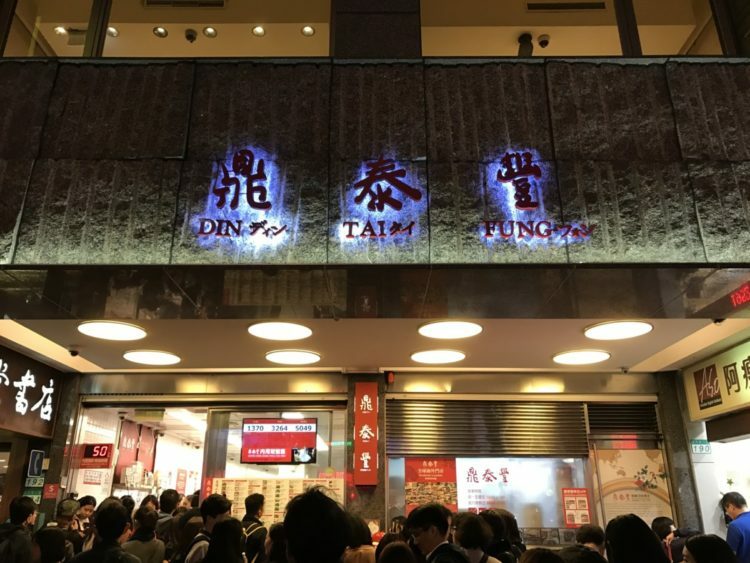 The post Feasting at the Original Din Tai Fung appeared first on Collecting EXP.